Happy 130 years St Aloysius College! Happy 130 years, St Aloysius College! 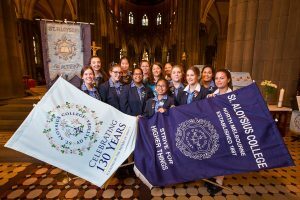 In 2017, St Aloysius College in North Melbourne proudly celebrates its 130th year. During the past 130 years Australia has experienced Federation, there have been 29 Prime Ministers, and 11 Popes in the Vatican. Throughout this time the doors of St Aloysius College have been open, a proud Catholic institution welcoming local children and educating them holistically with the help of the Sisters of Mercy. In 1887, the year of the school’s founding, the first building of St Aloysius College was blessed and opened by Archbishop Thomas Carr, the second Archbishop of Melbourne. Then in the early 1920s a very forward thinking Principal, Sister Gonzaga, changed the school’s name adopted our school motto – strive for higher things. In 1926, Pope Pius XI declared St Aloysius to be the patron saint of all Catholic youth – a more appropriate name a school could never have. Today, we are quite rightly proud of our school – its history, its Mercy origins, its Catholic tenacity, and its endeavour to strive in every arena to higher things.  We stand on the shoulders of giants, living their vision, fulfilling their life’s work, and extending their dreams by keeping true to the core values. 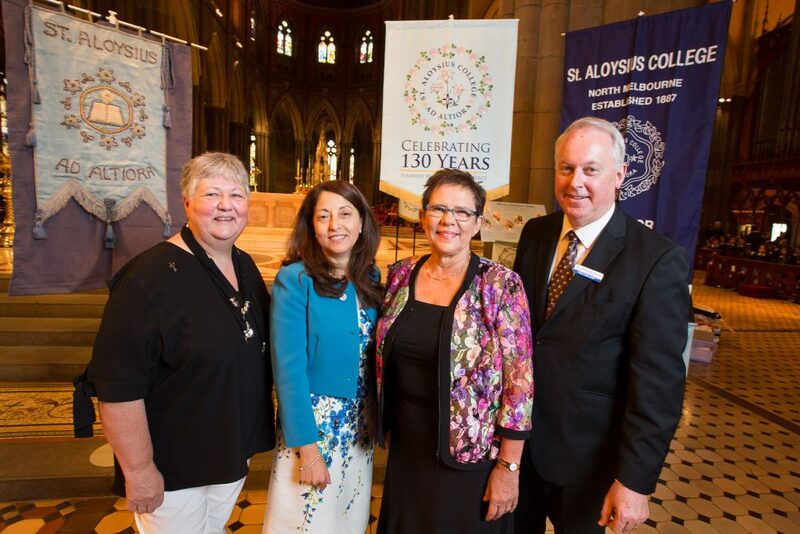 This year the College has hosted a range of events to celebrate 130 years of Catholic education, including a special mass at St Patricks Cathedral and an Alumni Event in March for past students. During our anniversary year, Danihers Facility Management has continued to be a key support for our college, taking great care of our environment both inside and out.  Since 2002, the Danihers team has provided a range of services at St Aloysius College to enhance our grounds and surroundings, and provide well-presented classrooms that our staff, students, and community can be proud of. St Aloysius College Principal Mary Farah with members of the Mercy community celebrating the college’s 130th mass at St Patricks Cathedral.